Škoda has announced a range of offers that will benefit customers for all of Škoda’s five model ranges. First, Škoda is continuing its “No VAT” offer on all Fabia, Octavia and Roomster models, despite the government’s plans to revert to a VAT rate of 17.5%. Participating retailers will offer the savings on all orders for the relevant models taken up to 31 January 2010 (equivalent to a 14.9% discount from 1-1-2010). In addition, in support of the government’s extension of the scrappage scheme, Škoda is giving scrappage customers £3,500 when they trade their old car for a new Octavia 1.6 TDI CR with 105 bhp with five-speed manual gearbox. With prices starting at just £14,965, attractive offers from Škoda Finance and low CO2 levels of 119 gr/km combined with great fuel economy, the Octavia 1.6 TDI CR is fantastic value. Škoda offers this engine in four trim levels – the entry-level S; SE; Elegance; and the kinder-to-the-environment Greenline. 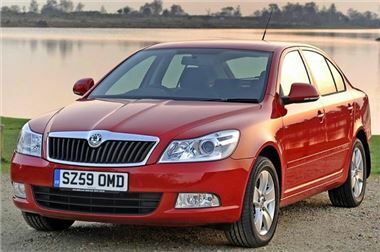 Škoda Finance is continuing to offer typical 0% APR on selected Škoda models. From 2 November through 31 March 2010, zero percent finance is available on Fabia 3 and Fabia Scout; Octavia 4x4, Scout, L&K and vRS; and Roomster Scout. These offers are for contracts of up to a two-year period and require a 50 per cent customer deposit, perfect for those customers who have money to pay up front and would like the choice of owning their Škoda at the end of the contract. Hire purchase rates are available across the entire Škoda model range through Škoda Finance for up to three years with a lower minimum deposit of 10 per cent. Typical APRs are 4.7% on Fabia and just 6% on Superb. For complete flexibility and low repayments, Škoda Finance continues to offer typical 7.9% APR on its Solutions PCP, with deposits from as little as one month’s payment in advance and payment periods of up to 42 months. This is a particularly good product for customers who like the option of changing their car more regularly than offered by other purchase methods. With a combination of the brand’s No VAT offer, great scrappage deals, and very competitive finance products, there has never been a better time to buy a Škoda.